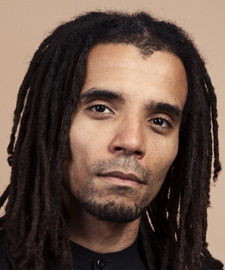 Akala is a BAFTA and MOBO award-winning hip-hop artist, writer and social entrepreneur, as well as the co-founder of The Hip-Hop Shakespeare Company. Akala has appeared at numerous festivals both in the UK and internationally, and has led innovative projects in the arts, education and music across South East Asia, Africa, India, Australia and New Zealand. Akala has also appeared on Channel 4, ITV, MTV, Sky Arts and the BBC. More recently known for his compelling lectures and journalism – he has written for the Guardian, Huffington Post and the Independent, and spoken for the Oxford Union and TEDx. His much-anticipated memoir Natives will be launched at Calabash 2018.